Brian Michael Bendis, arguably the most important writer of Marvel Comic of the post-bankruptcy era, has signed exclusively at DC Comics. This is fine. IT’S FINE! THERE’S NOTHING TO WORRY ABOUT! NOTHING! ALL IS WELL! NO WORRIES! Sorry…kind of hyperventilating here. Gimme a sec. So, anyway, while it is Marvel’s loss, it could spell exciting new books or new takes on DC characters. I’ve sat down to generate a list of ten characters or teams that I’d love to see Bendis take on for the Distinguished Competition. 1.) Batman- This one is obvious, right? First, he’s the biggest DC character so why wouldn’t you put your big new catch on it? 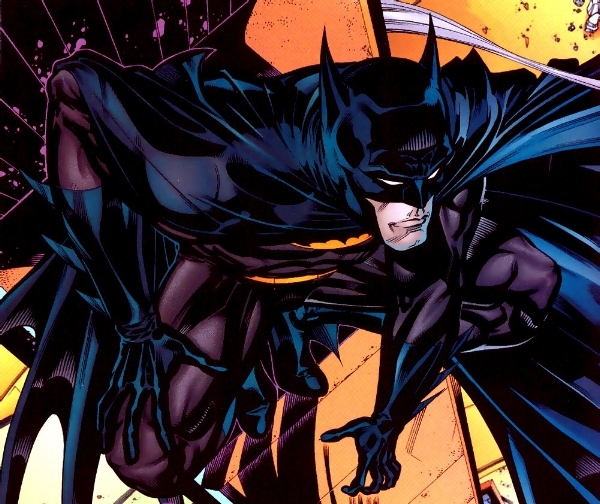 Second the only prior DC work he has ever done was a Batman short story. Lastly, he does well with grim vigilante types who deal with some level of street-level crime. 2.) Manhunter- I love Kate Spencer. LOVE her. And miss her like wild so it would be amazing to have her back in a book, period. To have Bendis write it, with his flair for complex woman characters (JESSICA JONES, SPIDER WOMAN), procedure (POWERS, DAREDEVIL), morally complicated vigilantes (DAREDEVIL) feels like a great choice. Add in that Bendis’s good friend Marc Andreyko created the character and it really seems like fate. 3.) Intergang- Bendis has roots in black as ink crime books. Imagine him turning that vision on the most prominent gang in DC Comics, the one that operates out of Superman’s city. 4.) A non-Teen Titans Teen book- Many people think of DAREDEVIL when they think of Bendis but I’ll bet more think of ULTIMATE SPIDER-MAN (and the various incarnations, since). Also, Bendis loves obscure and forgotten characters. Merge the two and get a teen team book that uses the many teen heroes that largely don’t get the spotlight and don’t get featured in TEEN TITANS. 5.) 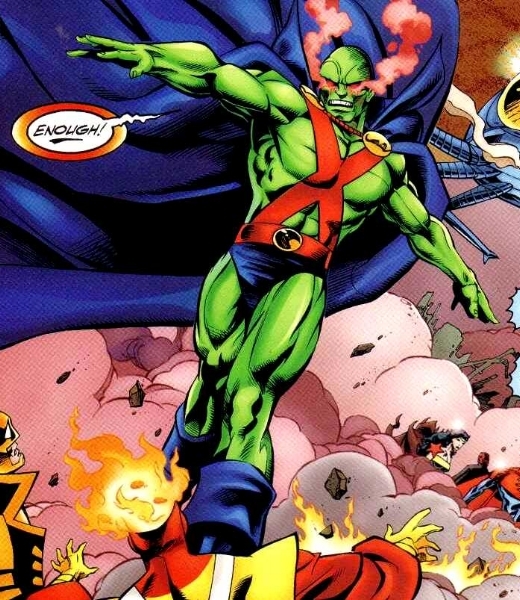 Martian Manhunter- This is a big roll and I’m honestly not sure if Bendis would be a great fit for J’onn J’onzz, but I like the character and no one seems to be able to get him a book that lasts, sells, and gets attention. Plus, his cop alter ego might be a way in for Bendis and might lead to a book where the emphasis is different than the past few attempts that have really focused on the Martian part over the Manhunter side. 6.) The Daily Planet- I always wanted THE PULSE to be better and I always thought Bendis could have delivered a more interesting version of that book. Here’s that chance. 7.) Chase- Anyway, Chase has low-level powers she kind of hates, she also sort of hates having to interact with super powered folk but her job forces her too. Sound like any other character you know? 8.) 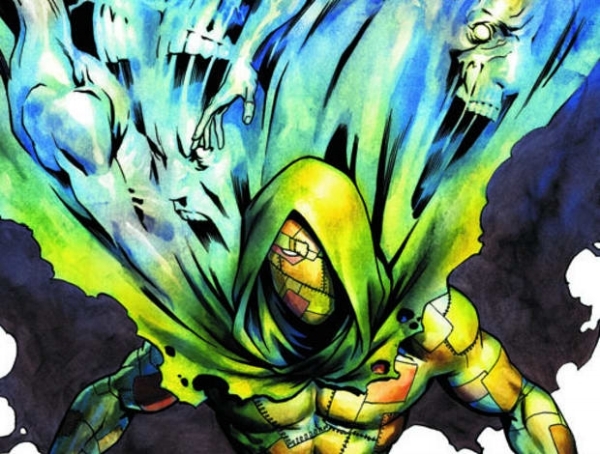 Ragman- It just makes sense to me. Then again, I was super excited for his MOON KNIGHT too. 9.) Wally West- I have been consistently frustrated by Wally’s role in the post-Rebirth DCU. Putting Bendis on him puts him back upfront right away which takes care of one problem. Bendis also, I think, would be a great match for West’s personality. 10.) The Eradicator- He wears a Superman shield, has operated in Superman’s shadow, but is violent, morally compromised, and not sure where he fits in. I’d love to see what Bendis could do with him.